Cut the loaf of bread length-wise and width-wise. Don’t cut all the way to the bottom. 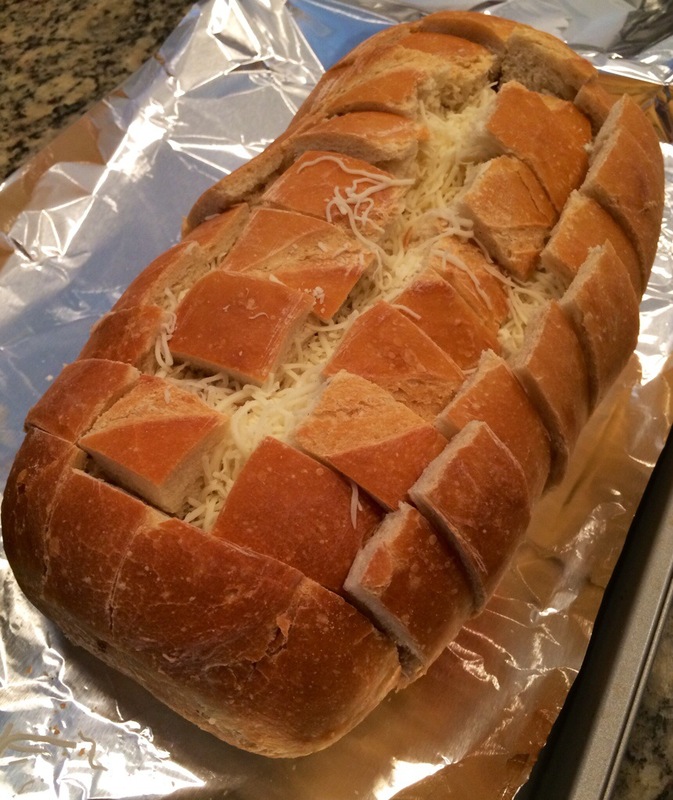 Stuff the bread with the cheese, doing your best to get some in all of the cracks. You don’t want to stuff it down too far, because you are going to use it to hold the bread open and get the sauce in. Melt the butter over medium heat. When it is completely melted, gently whisk in the buffalo sauce until it is full combined. Add the scallions and the blue cheese crumbles and remove from the heat. 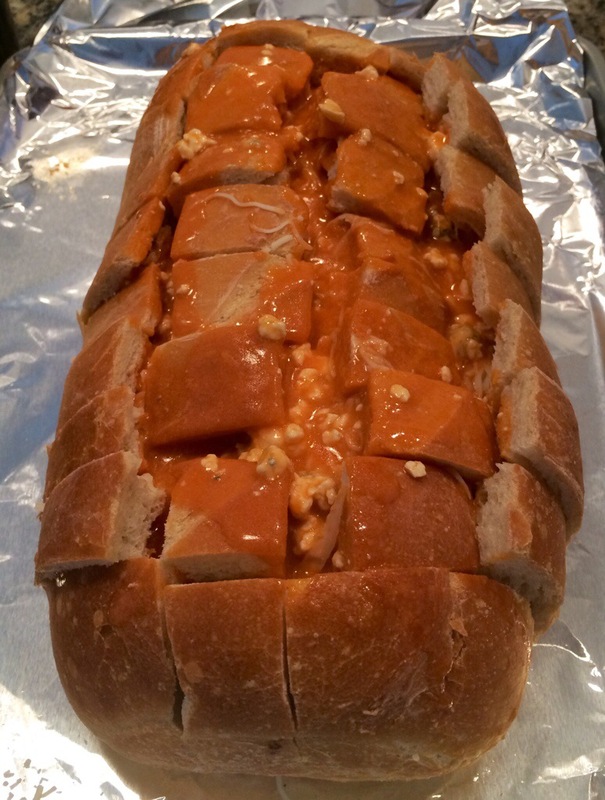 Using a spoon, add the sauce to the bread, getting some of the sauce into each of the cracks. Make sure you use all of the sauce. 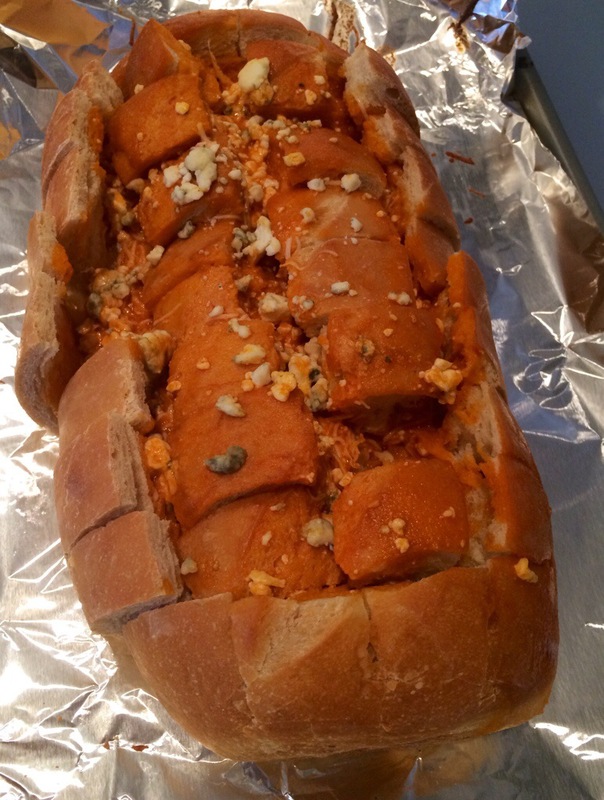 Top with a little extra blue cheese. Tent with aluminum foil and bake for 20 minutes.